This board is a version of our generic Battery-board which includes a TMP36 temperature sensor from Analog Devices. 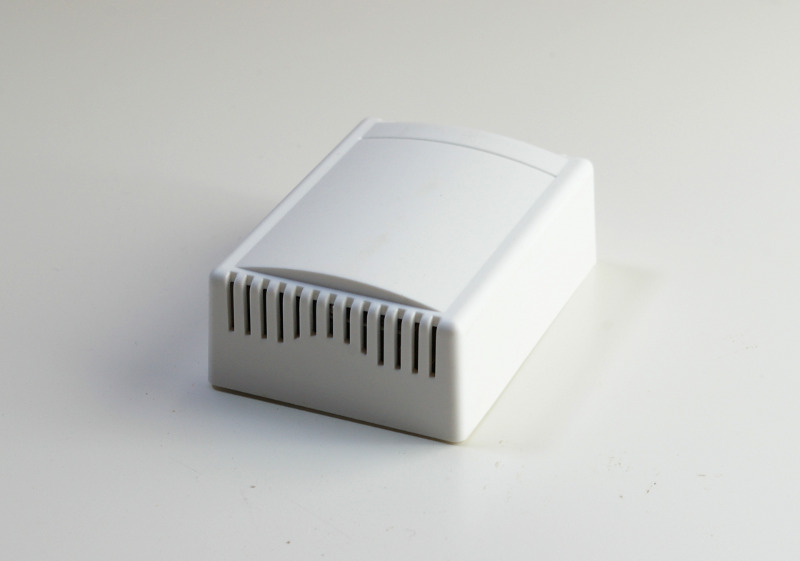 The TMP36 sensor is perfect for environmental measurements since it can measure either positive and negative temperatures (from -40°C to 150°C) providing a good precision (0.1°C) and a decent accuracy (±2°C over temperature) for most applications. As you can see, the TMP36 is directly powered from the Arduino digital pin 15 (Analog 1). 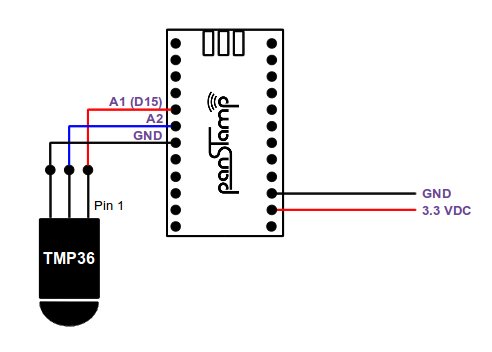 This lets the panStamp unpower the sensor whilst in sleep mode, reducing the current consumption to the maximum. For any other hardware reference please refer to our generic Battery-board product. Firmware-side, when programmed with our sample temphumpress application, the board periodically sends temperature readings according to the value programmed in the TX_INTERVAL register, saved in EEPROM. This interval is 255 (0xFF) by default in "fresh" panStamps so you will need to program your desired interval after programming the module for the first time. After transmitting the reading, the panStamp enters the sleep mode, disconnecting most peripherals until the next transmission and hence drastically reducing the current consumption.